1. 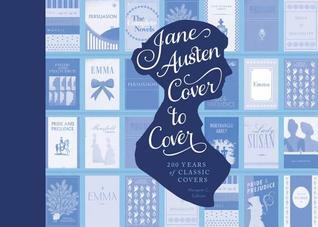 Jane Austen Cover to Cover: 200 Years of Classic Book Covers by Margaret C. Sullivan from LibraryThing Early Reviewers. 2. 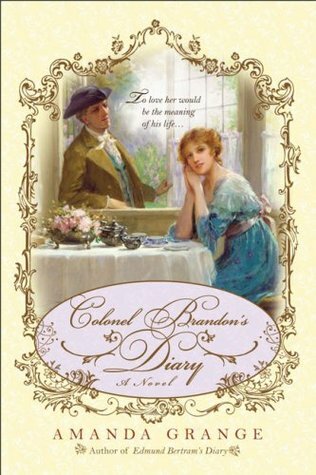 Colonel Brandon’s Diary by Amanda Grange, which I purchased from the library sale shelves for 50 cents. At the age of eighteen, James Brandon’s world is shattered when the girl he loves, Eliza, is forced to marry his brother. In despair, he joins the army and leaves England for the East Indies for the next several years. Upon his return, he finds Eliza in a debtor’s prison. He rescues her from her terrible situation, but she is dying of consumption and he can do nothing but watch and wait. Heartbroken at her death, he takes some consolation in her illegitimate daughter, who he raises as his ward. But at the age of fifteen, his ward goes missing. Devastated by the thought of what could have happened to her, he is surprised to find himself falling in love with Marianne Dashwood. I’ve been thinking a lot about social media, and in particular Twitter. This particular passage of the sellers crowding a singular space and boys coming from out of no where shouting about their wares and offerings reminded me of the cacophony of Twitter. For whatever reason, I’ve lately become weary of the hours I spend on social media and wondering whether it even gets the word out there about the truly wonderful books I read and whether there is a more effective way to accomplish this goal, particularly for poetry. It seems that there is a stream of reviews, giveaways, comments, and other items that clog up the Twitter timeline and even if I spent all hours of the day on the Web, my tweets about poets, readings, and books would be lost in the loud morass. I feel as though I am shouting at passersby about the books I read and the poets I love and the readings I attend, but to no avail. They do not know me, they do not (most likely) read my blog, so why would they care what I have to say? Hand-selling books at a bookstore and chatting with readers is what I miss. 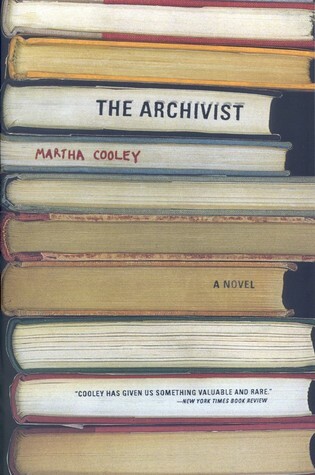 There is an intimate connection you make with fellow readers browsing a bookstore, especially when they pick up a book off the shelf that you’ve loved. This was never more evident to me than when I attended a recent book signing in Boonsboro when I chatted with other ladies in line about their books and why they love them. It was good to talk about Karen White’s books with people who had never heard of her and to see them light up when I told them about her books — the one’s I’ve read and the one’s I’ve yet to read — and how its a new world and adventure every time I open those pages. Some people I talked to immediately picked up a copy of Sea Change, while others picked up Beach Trees. What does all this mean for me and social media? I’m not sure, but I’m likely to mull over my presence on Twitter more and to think of better ways to use my time there. What are your thoughts? Pride & Pyramids: Mr. Darcy in Egypt by Amanda Grange and Jacqueline Webb is one of the most unique spinoffs of Jane Austen’s work as it takes place years after Darcy and Lizzy have been married — double digit years later — and sets them off on what some would consider a dream honeymoon to Egypt, although without the modern conveniences that are likely to be there today. Darcy’s Cousin Edward has been obsessed with Egypt and a fabled tomb filled with treasure since he was a boy and heard tales of his father’s trip there years before. Edward’s fantastic stories of the African land tantalize Elizabeth’s desire for adventure. With the introduction of Paul Inkworthy as the Darcy family painter of portraits and archaeologist Sir Matthew Rosen, Grange and Webb have created a new dynamic to the story when Lizzy invites the youngest Lucas daughter, Sophie, along on their trip. Besides the continued romance between Lizzy and Darcy, we see the budding of young love with Sophie and the early schoolgirl crush of Beth, the Darcy’s daughter. And of course, our favorite villain George Wickham has to enter the foray and stir things up, and the ridiculous Mrs. Bennet and Lydia offer some comic relief. Beyond the sweeping Egyptian landscapes and romantic adventures, Grange and Webb also weave in the stories of ancient gods and fairy tales, including one about a jealous woman, Aahotep, who bears a stunning likeness to a doll young Margaret finds and attaches herself too. The family faces conditions unlike what they are used to, but they are all adventurous and willing to remain positive. Readers will enjoy seeing how the marriage has matured and how they nurture their children and Sophie as she deals with a broken heart. Grange and Webb provide glimpses of a parents’ perspective, watching how their children grow and mature and begin to find their own way in the world. It leaves both with a sense of loss, but accomplishment. Pride & Pyramids: Mr. Darcy in Egypt by Amanda Grange and Jacqueline Webb is an amazing journey of mystery, love, and family devotion. Amanda Grange is a bestselling author of Jane Austen fiction (over 200,000 copies sold) and a popular author of historical fiction in the U.K. She specializes in creative interpretations of classic novels and historic events, including Jane Austen’s novels and the Titanic shipwreck. Her novels include Mr. Darcy, Vampyre, Mr. Darcy’s Diary, and Titanic Affair. She lives in England. Amanda Grange and Jacqueline Webb have co-written a spin-off of Jane Austen’s Pride & Prejudice that takes her characters to Egypt in Pride & Pyramids: Mr. Darcy in Egypt. Today, Amanda and Jacqueline will share their writing spaces with us. I hope you give them a warm welcome. My writing space is simple and uncluttered, in fact it’s very much like a standard office. I like a distraction-free environment when I’m working so the decorations are very plain and there are no pictures or ornaments, other than a laughing cow which I like because it cheers me up if I’m suffering from writers’ block. The essentials, for me, are a desk and chair, my computer – of course! – and very little besides. My desk is very large so that I can open a lot of research books at the same time if I need to, without running out of space. It also means I have room for all the scribbled notes I make during the course of the book, and I can open maps if I need to, or atlases, or anything else that is oversized. I have a calendar so I can keep an eye on my deadlines and I have a bookcase crammed with research books, from simple things like The Oxford Dictionary For Writers and Editors to more specialised research books. Most of these are to do with the Regency in some form or another, so that I can look up anything I need very quickly without breaking my writing flow. I always have a stack of paper and a selection of pens because sometimes I want to make notes in longhand, either because I’m working away from the screen – perhaps when I’m editing – or because my head is buzzing with ideas and even the act of turning on the computer might break the thread of my ideas. I also like the stack of paper if I’m just brainstorming a selection of ideas and I know I will throw most of them away. There’s something cathartic about throwing discarded ideas in the bin, it seems to remove them from my imagination more effectively than deleting a Word file. So of course I have a large bin! But the most important part of my writing space is exactly that, space. Space to think, space to write and space to dream. My writing space is in the spare bedroom in our converted loft. At one time it was our computer room but as our children got older and took over the laptops that seem to abound in our house nowadays, the loft has become much less sought after. I write on the bed on my laptop. My husband recently bought me one of those laptop trays which makes it easier to balance and I had quite lot of fun fiddling about with the lamp that comes with it, filling the little space for pens, although I hardly ever use them, and trying to find a use for the cup holder. The loft is quite large and has a big window which gives a lot of light as well as lovely views across to the park. I often end up with a cat for company, as my two cats enjoy the peace and quiet, although they leave on the rare occasions our dog turns up as she’s too boisterous for them. Being at the top of the house means I’m out of the way and less likely to be disturbed. Thanks, Amanda and Jacqueline, for sharing your writing spaces with us. Henry Tilney’s Diary by Amanda Grange provides readers with the inner thoughts and past of Northanger Abbey‘s hero. Like his sister Eleanor, Henry has a passion for the written word, which mirrors Austen’s homage to readers in the original novel. Grange steeps her prose in Gothic tales of secret passages and story telling between brother and sister and between Henry Tilney and Catherine Morland. Drawing inspiration from Mrs. Radcliff and her novels, A Sicilian Romance and The Mysteries of Udolpho. Unlike Austen’s version, Tilney reads Gothic novels for pleasure, a pleasure he shares with his sister, and while he remains very logical in his thinking about finding a wife, he is soon swept up by the charms of Catherine. His requirements in a wife are listed on more than one occasion with a tongue-in-cheek sense of humor. Although he does say that she must love novels, he also realizes that a love of novels can go too far, and in that way Grange has paralleled the character development of Catherine in the original Northanger Abbey. Through diary entries, readers come to know Tilney more intimately as he worries for his brother and his sister and grows increasingly concerned about his father’s seeming change of heart where money and titles are concerned. Tilney grows from a younger son into a man of his own means and career, but he is still loyal to his family despite his budding feelings for Catherine. 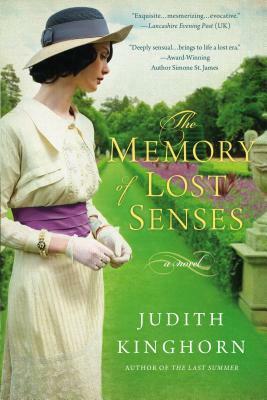 Another winner from Grange that builds upon the character arcs and complex story lines left behind by Austen. Her Tilney is a kind, gentle man with a clear vision of how his life should be, and while he remains loyal to his family, his heart guides his move. His frank nature and his compassion bloom in Grange’s hands. Austinites and those looking for a well-paced romance with Gothic highlights will enjoy Henry Tilney’s Diary. I’d like to see Grange tackle a few more villains in her diary series of books! Amanda Grange was born in Yorkshire and spent her teenage years reading Jane Austen and Georgette Heyer whilst also finding time to study music at Nottingham University. She has had sixteen novels published including six Jane Austen retellings, which look at events from the heroes’ points of view. If you haven’t entered the giveaway to win you’re own copy, please check out the guest post. Amanda Grange is one of the most well-known writers of Austenesque retellings from Mr. Darcy’s Diary to her latest Henry Tilney’s Diary. Henry Tilney is one of the main characters in Jane Austen’s Northanger Abbey, which is the novelist’s sarcastic take on the Gothic novel and its frivolity. Grange’s diary series of books focus on the heroes of Austen’s novels, though there is one about a villain Wickham. In all of these diary books, Grange gives readers an inside look into the thoughts and pasts of Austen’s male characters, and she does it all while keeping with Austen’s vision and wit. Today, I’ve got an inside peek into Grange’s writing space and habits. Please give her a warm welcome and stay tuned for a giveaway. I do a lot of my writing in my head before I commit anything to paper. When I’m writing my Jane Austen retellings, I start by rereading the original novel. If it’s a nice day, I do this outside, often going to a nearby stately home or formal garden so that I can soak up the elegant, leisurely atmosphere of days gone by. As I read, I let my mind wander over all the questions that occur to me. What was Henry like as a child and young man? What kind of relationship did he have with his parents and siblings? What was life like for him when his mother died? When did he discover a love for Gothic novels? Where did he read them? I have a very visual imagination, and as I ask the questions, I build pictures in my mind. This is easier if I’m somewhere spacious and elegant, as I can look around and imagine the characters walking round a corner or sitting in an arbour. Sometimes I will start writing longhand, on a large notepad, and I often do this out of doors if the weather is good. 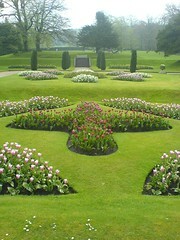 I’ve written quite a few scenes sitting on the bench in the photo, which is at a nearby stately home. Then, once I’m in full flow I move onto the computer. 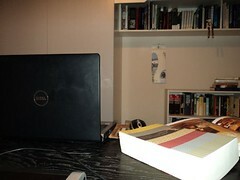 My study is very plain, because once I get down to the actual business of writing, I don’t like distractions. The walls are a neutral colour without any pictures and there is no furniture apart from essential office furniture. My desk is large because I’m an untidy worker and I need space for all my notes, as well as my research books. I start off in an organised fashion, making neat notes in a word document, but I soon resort to scribbling things down on any piece of paper that comes to hand – an envelope, a copy of the Radio Times, anything. If I’m out, I make notes in a notebook I keep in my handbag, except when I forget it, which is often. Then I will scribble ideas down on an old receipt, train ticket or in fact anything that can be written on. I end up with a jumble of papers on my desk and I daren’t throw anything away in case it turns out to be vital. Once the book is finished, I throw everything away with a great sense of freedom and tidy my study, which remains pristine until I start the next book. I always say I will take a break before starting the next book, but in fact I get itchy fingers and it’s usually only a week or so before I’m raring to go again. 1. Leave a comment on this post about what Austen villain you’d like to see write a diary. 2. Blog, Tweet (@SavvyVerseWit), or Facebook the giveaway for up to 3 more entries. 3. Follow this blog and let me know for another entry. First, I would like to congratulate (Ryan) on winning My Soul to Take by Tananarive Due (my review) from the last Mailbox Monday giveaway. 1. You Are My Only by Beth Kephart; finally my 5 pre-ordered books arrived (so the two of you readers who have won a copy should receive them soon from me) and 1 autographed copy from Beth after I won her Treasure Hunt, which I will treasure forever. 2. Dreaming of Mr. Darcy by Victoria Connelly for review in January from Sourcebooks. 3. Christmas at Pemberley by Regina Jeffers for review in December from Ulysses Press. 4. Henry Tilney's Diary by Amanda Grange for review in December from Berkley/Penguin. 5. The Unexpected Miss Bennet by Patrice Sarath for review in December from Berkley/Penguin. 6. Ivan and Misha by Michael Alenyikov, which I won from Unabridged Chick! 7. All the Flowers in Shanghai by Duncan Jepson from Library Thing Early Reviewers. 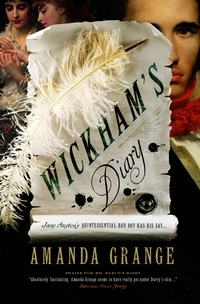 Amanda Grange‘s Wickham’s Diary takes a look at Wickham’s relationship with his childhood friend Darcy before they became enemies. Even in the early entries, readers get a sense that Wickham feels he is entitled to certain pleasantries and that he is better than Darcy in many ways. Much of this stems from his jealousy at being merely the steward’s son and being born into a particular class. 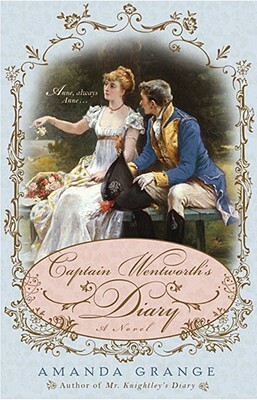 Initially, Wickham captures that jealousy at the behest of his mother to mold his charm and air of authority in an effort to better his station and prospects through his acquaintance with Darcy, his relatives, and his friends. However, once he and Darcy head off to Cambridge, things take a turn for the worse for Wickham. And while many of his problems are self-induced, tragedy does step in and become a catalyst for his downward spiral. Grange has taken the character of Wickham, and while not making him sympathetic, helps readers understand his motivations and the role his parents and friends played in making him the man he becomes when readers meet him in Pride & Prejudice. However, there are gaps in the diary, some lasting several years, that are not elaborated on or talked about. What happens to Wickham and his family during those intervening years is unknown and not explored, which readers may find disheartening. Readers also could disagree with the picture Grange paints of Wickham — a man easily swayed into trouble by others. Overall, Wickham’s Diary by Amanda Grange is an inside look at the possible motivations of the villain in Jane Austen’s Pride & Prejudice. Her George Wickham is a young man unhappy with his life station, but too lazy to change it and easily swayed down the easiest path — whether it is finding an heiress or having a good time while away at school. At just about 200 pages, the novel is a light read and the diary entries make it easy for readers to pick up and read for short intervals at a time. 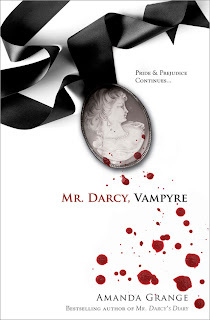 If you missed my review of Mr. Darcy, Vampyre by Amanda Grange, feel free to check it out. 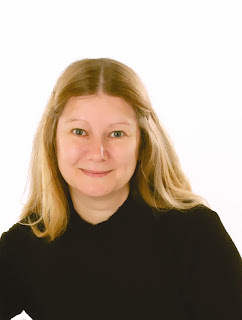 Amanda Grange was kind enough to take time out of her busy schedule to answer a few of my questions about her latest novel and her writing. Don’t forget the giveaway following the interview. 1. How difficult was it to return to Mr. Darcy of Pride & Prejudice following your successful book, Mr. Darcy’s Diary, and then transform him into an immortal vampire in Mr. Darcy, Vampyre? Could you explain part of the process? I did it by taking a step back and seeing a larger picture, one in which Mr. Darcy had a terrible secret. Then I looked at Pride and Prejudice from this new vantage point and I saw that it fit in well. It gave Darcy a new reason for his aloofness, his reluctance to fall in love and his absences for long periods of time in Pride and Prejudice. I then imagined a future for Lizzy and Darcy where this great secret lay between them and I explored the effects that would have on their relationship as well as thinking about the extraordinary things that would happen to them. I wanted to create a story that would test their love to the limits, and the rest followed quite naturally from there. 2. Most authors dealing with classic characters fell in love with them early on, but wanted something more. Is this how you felt about Darcy, and what is it you sought to do that Jane Austen had not? Yes, that’s exactly how it happened with me. I first read Pride and Prejudice when I was about 13 and fell in love with the whole Austen world, including Darcy, but I still wanted more. So I sought to provide more with Mr. Darcy, Vampyre, which of course is the one thing that Austen didn’t do. 3. If you were to create a playlist for Mr. Darcy, Vampyre, what five songs or scores would be on that list? Interesting. I think one would be Beethoven’s Pastoral Symphony, I think that would go very well with the first chapter of the book. Then I’d have Yesterday by the Beatles, when Lizzy starts to realize that something is wrong. I’d have Angels by Robbie Williams for a part of the book where Darcy watches Lizzy sleeping, and Something by the Beatles for when Darcy is explaining his love for Lizzy. And of course I’d have Bat out of Hell by Meatloaf! 4. Do you have any obsessions that you would like to share? 5. In Mr. Darcy, Vampyre, you’ve created an exciting and exotic world in which Darcy and Lizzy go on their wedding tour. What inspired you to write these vivid settings? Was there any particular paintings or travels that inspired you? The inspiration came originally from The Mysteries of Udolpho by Mrs Radcliffe. Udolpho is mentioned a lot in Jane Austen’s own Gothic novel, Northanger Abbey, because both the hero and the heroine have read it and thought it was wonderful. In Udolpho, the heroine travels through France, crosses the Alps and goes on into Italy. I wanted Lizzy and Darcy to follow her journey as an homage to Udolpho and I thought Janeites would really enjoy it as they would get the references. Having made that decision, I then based the descriptions on my memories of my own holidays in Europe. I remember my first holiday to Italy vividly. I had never been out of England before and the light was incredible. Here in England it’s often dull, with low lying cloud, and the colours are muted, but in Italy everything was dazzling. There’s a bit in Mr. Darcy, Vampyre, when Lizzy and Darcy arrive in Venice, which says: “Light was everywhere. It poured from the sky and it danced from the water. It leapt from the gilding and twirled from the stones.” That’s exactly how it seemed to me the first time I went there. 6. Many readers are eager to know which character or characters authors most identify with, so in your latest novel, which of the characters do you identify with and why? Hm, that’s difficult. I think I identify with Lizzy and Darcy equally. I try to put myself inside the heads of my characters when I write, and I found myself equally at home with both Lizzy and Darcy. 7. Which books have you been reading lately, and are there any you would like to recommend? I’ve been reading Five Little Pigs by Agatha Christie and I’d happily recommend it. I love Agatha Christie. Her plots are superb and I think her writing style is underrated. It’s actually very difficult to write in such a seemingly simple style and still hold a reader’s attention. I’ve now moved on to Mariana by Susanna Kearsley. I haven’t got very far with it yet but so far I’m really enjoying it. 8. Finally, following Mr. Darcy, Vampyre, do you have any other projects in the works? Do they deal with other classic literature or do you see yourself flourishing in the Pride & Prejudice market? My next project is a prequel to Mr. Darcy, Vampyre. Oddly enough, I don’t have any interest in writing books based on other classic stories. Somehow it’s just Pride and Prejudice that keeps inspiring new ideas in me because I can’t get enough of the characters or the perfect love story of Lizzy and Darcy. If you want to check out the other stops for Amanda Grange, go to the Mr. Darcy Vampyre blog. Sourcebooks has kindly offered 2 books of Mr. Darcy, Vampyre for 2 of my readers in the United States and Canada. 1. For one entry, leave a comment about one of your favorite parts of the interview. 2. 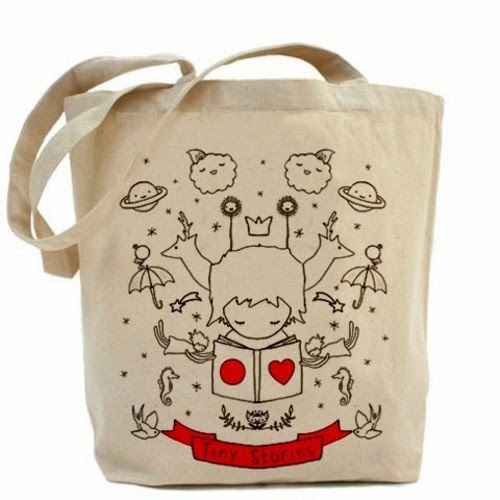 For a second entry, Tweet, Facebook, or otherwise spread the word about the giveaway on your blog, etc. 3. For a third entry, let me know if you already follow or just started following.